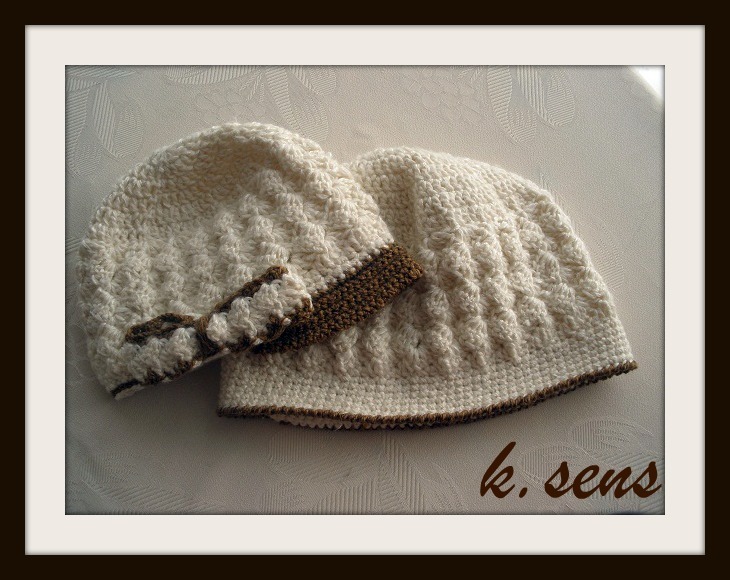 I went a little crazy with the brimmed hat pattern and made two new sets. 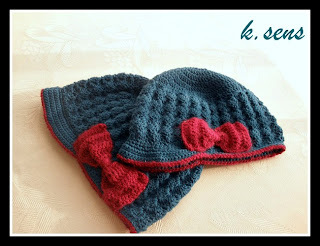 One set has a standard brimmed hat with bow, just a bigger one for mom, and a smaller one for toddler. Its a set for the stylish moms which love a little twist in the coloring. It's a turquoise/fuchsia combination. But then I realized not all moms love brims and bows, and weird color combinations so i made another set, a more classic one. A white hat with brown brim and matching bow for the baby (newborns size), and a bigger one without the brimm and bow, just a thin brown edging for the more elegant mom. Come, see, crochet also on Flickr!